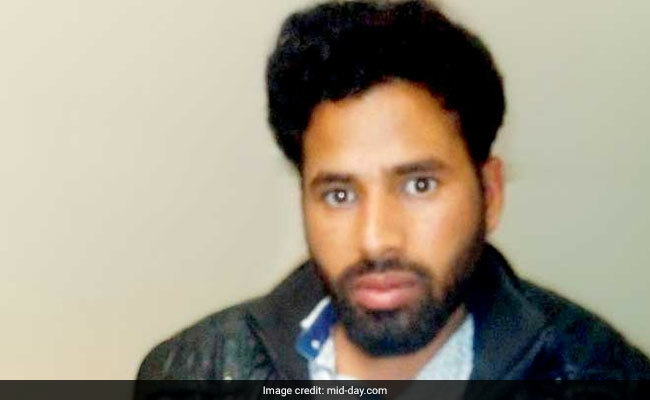 Mumbai: Sunday marked another nail in the coffin of the Islamic State (IS), as one of its top Indian recruiters and fundraisers, Abu Zaid, was arrested just as he arrived at the Mumbai airport from Saudi Arabia. Abu was part of an IS module that was planning an attack in India, but was busted before they could raise the money for it. Abu Zaid is part of an IS module that was uncovered by the ATS of the Uttar Pradesh police in April. mid-day had reported that at the time, the cops had arrested four suspected operatives during a nationwide operation, including Mumbra store owner Umar Nazim, who had radicalised 12 youths. It was after this that Abu came on the radar of the police, who quickly realised that he was the biggest catch of all. Unlike the other suspects who had been arrested so far, Abu operated out of Saudi Arabia. Hailing from Azamgarh in UP, Abu moved to Saudi in 2009. Although he only studied till Std V at a madrasa, he was earning Rs 45,000 per month as a telephone technician in Riyadh. Even from all the way from Saudi, Abu would manage to bring in the two most important things the IS module needed - new recruits and more money. DSP Anup Kumar from the UP ATS said, "Abu was acting as a radicalising agent, spreading literature that he would download from YouTube channels run by IS. He also appealed to IS sympathisers that even if they didn't have the courage to fight, they could still donate money for the fighters." Abu used most of his own money for IS operations, including four trips to India between 2009 and 2017. It was on his fifth trip on Sunday that the police ambushed him at Mumbai airport. Abu was produced in Holiday court on Sunday and sent to two days in transit remand. Anand Kumar, ADG (L&O), UP, said, "His arrest will give us more information on the IS network active in Uttar Pradesh and other states. We had already filed a chargesheet against the four accused who were arrested previously; now, we will add a supplementary chargesheet against Zaid after the investigation." Unlike other IS modules that are usually started by foreign radicalisers and handlers who stay anonymous, Abu's module functioned in the opposite manner. The group only recruited people if they came with a reference from one of the members. In fact, Nazim and the other arrested accused had also been recruited in this manner. UP ATS chief Aseem Arun told mid-day, "Abu and Nazim came in touch through social media. Abu later formed different groups on chat apps, for which he was using multiple handsets." Cops said that at first, the group would post videos and messages on Facebook, describing how Muslims have it bad in India and how true Muslims must avenge these atrocities through Jihad. They would then contact youngsters who liked these posts and befriend them. But the youngsters would only be added to the inner circle after one of the members vouched for them. Abu had created various chat groups on various apps. They mostly used Threema and Telegram for chatting, and formed groups titled 'Naughty Boys', 'Dosto ki Mehfil' and 'Shararati Bacche'. As many as 15 youngsters are suspected to have been recruited and radicalised through these chat groups. Sources said, "Abu had added three people with his reference. Nizam also gave references for a few people. Any member who acted suspiciously or was inactive would immediately be removed. Since the formation of group, they added and removed many people. At present, only 14 to 15 are there." In the group, the members were required to post daily progress reports. In the chats, investigators have found that they were talking about buying arms and ammunitions to carry out a bomb blast in India. However, by the time the police busted them in April, the group had not collected enough money. Sources also revealed that Abu was staying with a few Pakistanis in Riyadh, and it is suspected that he may have shared his plans with them, asking for money. The UP ATS has shared information with higher authorities who are in contact with investigating agencies in Riyadh.